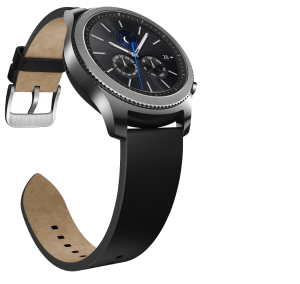 Samsung has begun the global rollout of its latest generation of Gear smart watches called S3. It includes a GPS, which enables various forms of fitness tracking. It also functions as golf watch for golfers. The Gear S3 series consists of two models: Classic and Frontier. 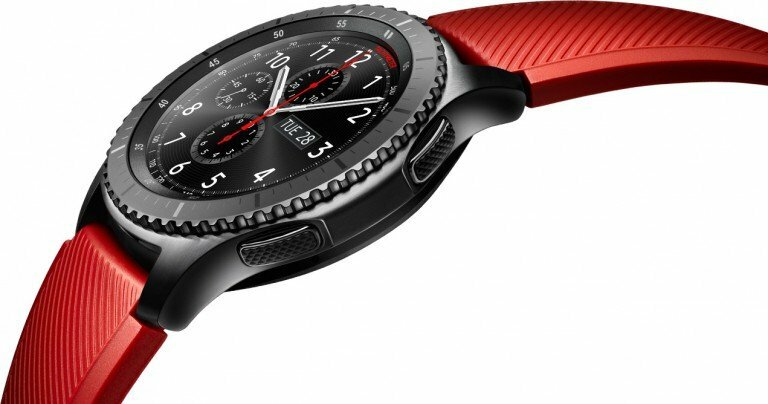 Samsung has packed new features into the smart watches including a GPS component, which therefore make them slightly larger than previous generations of Gear watches. The thickness, for example, has increased by 1.5 mm from 11.4 mm to 12.9 mm. In addition, the size of the case has grown from the standard 42 mm to a relative speaking bulkier 46 mm case. How will consumers react to a bulkier watch? There’s obviously a trade-off between usability and comfort. A unique selling point is the Tizen OS operating system. Almost all other non-Apple wearables run on Android, which makes product differentiation difficult for other smart watch manufacturers. A different OS enables Samsung to offer a unique and tailored user experience. Samsung upgraded the Tizen OS to version 3.0 earlier this year. Image source: Samsung. Gear S3 Classic. The Gear S3 Classic one is an evolution of S2 Classic model released in October last year. It sports a stainless steel case and a nice-looking leather strap in either navy blue or alligator brown colour. I’m not sure if Samsung’s naming of the brown strap is technically correct since most alligators that I have seen have a greyish colour rather than a brown one? The battery life has been improved on the S3 and you can forget about charging for at least four days. 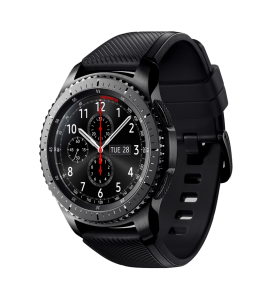 The Gear S3 Frontier model looks quite different compared to the Classic one. It has a cool-looking gunmetal finish. The strap is made out of silicone, which gives it a sporty look-and-feel. It comes in two different colours: khaki and orange-red. Image source: Samsung. 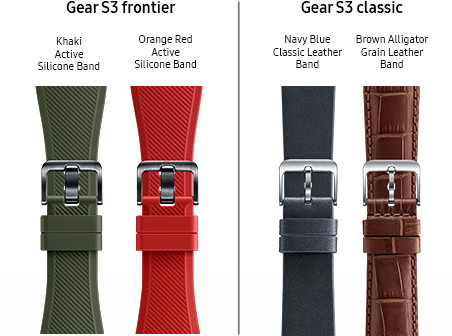 Four different straps are available for Gear S3. The price for both models will be around NZ4540, which is similar to S2’s launch price.